Ever since I ran out of my trusty Givenchy Couture Balm foundation (read my review here) I have wanted to try something different. Of course I've had my eye on a number of products as usual but ultimately I was looking for something close to my preferences- moisturizing properties, glow-inducing, tailored to more mature skin, etc. 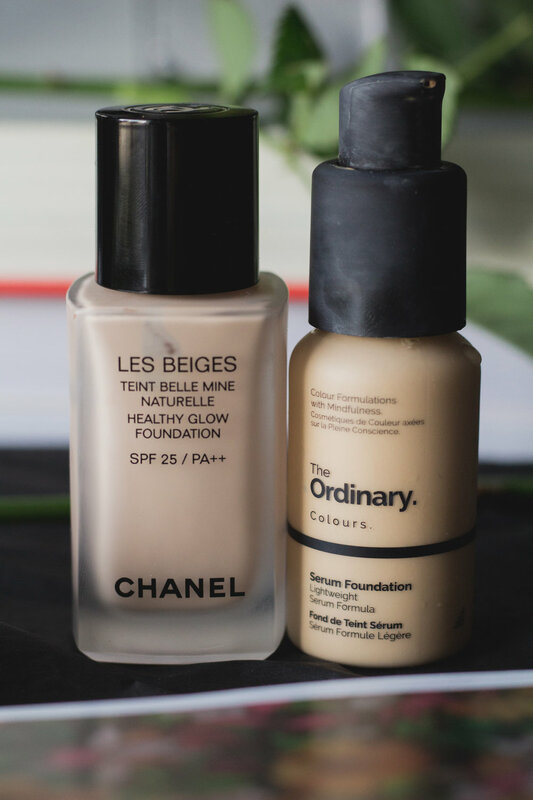 Les Beiges Healthy Glow foundation from Chanel had always been on my list to try. I've not used any of their other ones but have always been intrigued by this one in particular. The texture of it is quite thick, however when applied onto the skin it melts away into it without sitting on top which I find interesting because usually I would go for the latter one- I like a seamless barrier. Even with my dry and at times dehydrated skin (I'm trying to drink more water and less coffee I swear) it seems to be working really well. And of course there's the glow, I find it looks even better throughout the day. It's got SPF 25 and a hyaluronic acid derivative, which is a nice bonus. Originally, I was only going to use to on special occasions but seeing the flawless results I rock it every day. Life's too short. 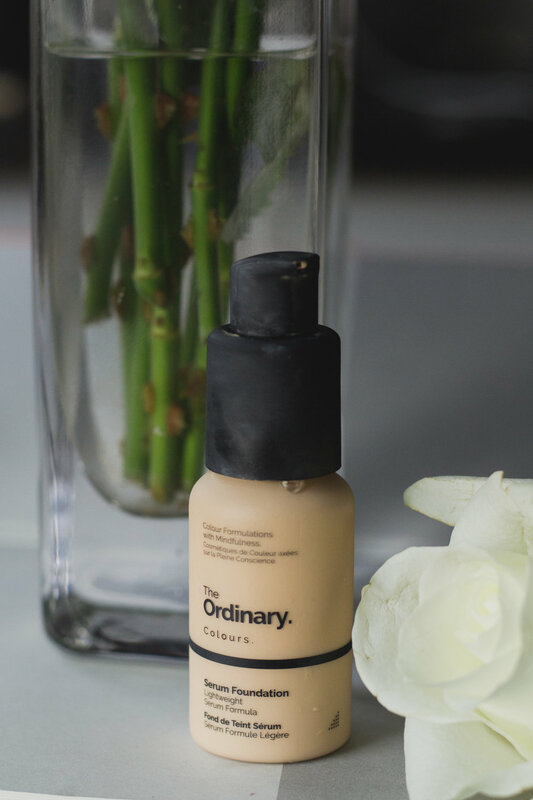 Then I FINALLY purchased a bottle of a Serum Foundation from The Ordinary and frankly I still haven't made up my mind about it. I have been using it on and off for over a month and if I'm honest it's not ticking a lot of the boxes for me. First, I really don't mind the watery texture and thin consistency but when applied onto my skin (I've tried fingertips, blender and a brush) it just doesn't seem to be doing much for my skin. I understand it is a lightweight formulation but on me it disappears into nothing within an hour. It's not very hydrating or nourishing despite its name either. I do think the shade selection is pretty impressive and I still go back to it on the days when my skin is behaving but always with a lot of prep and priming as the foundation can look a bit flat on its own. I can imagine it would suit a different complexion better.